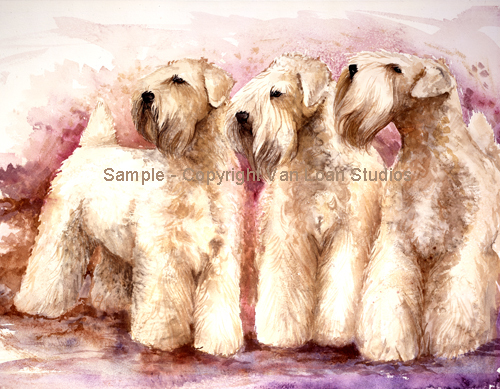 Soft Coated Wheaten Terrier "Montgomery Aire"
Home > Terrier Group > Soft Coated Wheaten Terrier "Montgomery Aire"
The Soft Coated Wheaten Terrier "Montgomery Aire" is a Limited Edition Print by artist Martha Van Loan. The Image size is 17"x22" and this print will make a lovely centerpiece for your collection. Custom Matting is available but due to the size and weight of glass, framing is not available at this time.